THE FOLLOWING TERMS AND CONDITIONS OF SALE APPLY FROM THE 1 APRIL 2012 AND SUPERSEDE ALL PREVIOUS ARRANGEMENTS. ANY TRANSACTIONS WITH COURSES FOR SUCCESS ARE SUBJECT TO THESE TERMS AND CONDITIONS. BY USING ANY OF THE COMPANY PRODUCTS OR CLICKING ON THE "ADD TO CART" OR OTHER BUTTONS TO REQUEST MORE INFO, YOU AGREE TO BECOME BOUND BY THE TERMS AND CONDITIONS OF THIS AGREEMENT. IF YOU DO NOT AGREE TO ALL THE TERMS AND CONDITIONS OF THIS AGREEMENT, DO NOT CLICK THESE BUTTONS AND DO NOT USE THE COMPANY PRODUCTS. COMPANY’S ACCEPTANCE IS EXPRESSLY CONDITIONED UPON YOUR ASSENT TO ALL THE TERMS AND CONDITIONS OF THIS AGREEMENT, TO THE EXCLUSION OF ALL OTHER TERMS. IF THESE TERMS AND CONDITIONS ARE CONSIDERED AN OFFER BY COMPANY, ACCEPTANCE IS EXPRESSLY LIMITED TO THESE TERMS. PLEASE READ THE TERMS AND CONDITIONS CAREFULLY AS THEY SET OUT THE TERMS AND CONDITIONS WHICH COURSES FOR SUCCESS TRADES UNDER. The prices payable for the items that you order are clearly set out on the web site. All prices are inclusive of GST if applicable. Prices can change and our latest price is always displayed on our website Courses For Success. Third party websites may not always list our current prices. 1. A legally binding agreement shall arise between you and Courses For Success which shall be governed by the laws of your country. 2. Upon submitting an enrolment application and payment of the full Course Fee you consent and agree to be bound by the terms and conditions herein. No refund is available once access to materials has been provided via online access or once materials for correspondence study have been shipped. The training provider cannot accept responsibility for changes in your personal circumstances. Please choose your course carefully as refunds will not be given unless in the unlikely event a course is cancelled by the provider institute. No refund will be given if a student is expelled by the training provider for misconduct and/or bringing the course provider into disrepute. Supply to you all necessary materials for your nominated course(s). Issue a certificate or Statement of Attainment/s upon satisfactory completion. Courses For Success will provide you with a tax invoice for your records. You will also receive a welcome email outlining the next steps to gain access to your course. Students should allow up to 1-4 business days to receive online access to course materials and up to 7-10 business days to receive materials via mail. The duration of the Course is stated in the Courses For Success Course Description and/or advised at time of enrolment. These libraries either have a yearly or monthly subscription fee. Yearly subscription fees are processed automatically on the anniversary date that you joined the library. Monthly subscription fees are processed automatically the following month, 30 days from the date that you joined the library. You can cancel any time prior to the date of the automatic subscription payment. Cancellations must be received 7 days prior to the date that the subscription is due to be processed. Cancellations must be made in writing to the following email address email/studentsupport)(coursesforsuccess.com, you must provide your name and course login email address. In the event that your monthly or yearly subscription payment fails you will be notified by email and your membership will be placed on hold temporarily until you recommence your subscription payments. 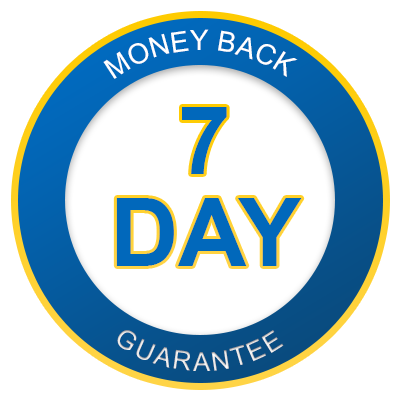 We provide a 7 Day Money Back Refund on all Courses. A full refund will be provided in the event that you have accessed the course materials and have not studied more than 25% of the course and not completed the course assessment and/or downloaded a certificate. If you, as a Student, are unhappy with such a Course and make a written request for refund within seven (7) days of the date that you paid for access to that Course, we will provide you with a full refund of the amount you paid. To request a refund, please contact us via email/info)(coursesforsuccess.com and provide your purchase details, and order number. After receiving your request for refund, Courses For Success will issue a credit or refund as soon as is reasonably practicable and you will be provided with e-mail acknowledgement. If you wish to study a different course or wish to upgrade your purchase we would be happy to provide an alternate course or the upgrade, providing you advise us within 48 hours of receiving your course welcome pack. Please email email/info)(coursesforsuccess.com and provide your purchase details, and order number. Note: No refund will be given if a student is expelled by the course provider for misconduct and/or bringing the course provider into disrepute. We provide a 7 Day Money Back Refund on our Career Builder Library. A full refund will be provided in the event that you have not studied more than 25% of any course and not completed any of the course assessments and/or downloaded any certificates. Course Materials are supplied in an online environment, unless otherwise stated in the CFS Course Description, and once enrolment has ended, access is denied. Therefore it becomes the student's responsibility to save and/or copy content as required for reference purposes. Some of our courses have unlimited lifetime access. If applicable this information will be displayed in the appropriate course descriptions. The content of the online Course Materials, including copyright and all other such intellectual property rights contained therein, remain the property of your course training provider. You may not reproduce any part of the online Course Materials without the prior written consent of your course training provider. From time to time Courses For Success conducts marketing programs whereby we encourage viewers to submit enquiry forms on these promotional pages. Courses For Success and the owners of this site and copyrighted material of this site including all down-loadable content and material hereby disclaims all responsibility for the accuracy of all information on this web site. This is including but not limited to any information given on our video lessons by either the presenter or anyone interviewed in each lesson and including all download material. All the content on this site and down-loadable content is just the opinion of whoever expressed it in this course including all video lessons and down-loadable materials. We assume no responsibility for loss or damage to your computer caused directly or indirectly by the viewing or downloading any of our site material or content. The visitor downloads at your own risk. Courses For Success makes every effort to ensure all prices and product information is up to date and correct at the time of display. However, we take no responsibility for any incorrect information that may appear and reserve the right to refuse any order which may contain mistakes. It is the responsibility of the customer to ensure that product information is correct when purchasing any course. The visitor or customer to this site hereby waivers all rights and claims against this site and the owners of this site or anyone who appeared in the video lessons of this site of damages of any description whether predictable or non-predictable or personal or commercial in nature. No other notice of any kind for any reason is due the visitor and or customer specifically warrants an understanding that the right to notice is waived as a condition for permission to view or interact with the website. All the information on this website and including down-loadable information are owned and copyright protected. You as a visitor or viewer or a course participant have no rights or ownership at all under any circumstances in our site content. Every effort has been made to accurately represent our product and it's potential. Each individual's success depends on his or her background, dedication, desire and motivation. As with any business endeavour, there is an inherent risk of loss of capital and there is no guarantee that you will earn any money. Every effort has been made to ensure that the courses have no errors however the courses are sold with the understanding that the authors and publishers are not responsible for any errors, omissions or results or actions taken by you on the basis of any information in these courses and the authors and publishers disclaim any liability to anyone who does these courses whether purchaser or not. If you require any expert advice you should seek professional advice like an accountant etc. Any information given by email from this site either technically or regarding content or further content that is not included in this course is also just the opinion of the author of the email back to the visitor and or customer or course participant and the visitor also warrants that this information will not be relied upon and that the visitor will seek further technical, and or commercial advice from a solicitor, accountant or other professional. Please visit this page regularly to update yourself with any changes to the above terms and conditions.